Despite dire predictions of impending traffic "chaos" on Tuesday, the tabloid Ilta-Sanomat reports that at least in Helsinki emergency services had a quiet night with not even any reports on cars skidding off the roads. Even so, Ilta-Sanomat notes that driving conditions for most of the country on Tuesday are hazardous, and the Finnish Meteorological Institute is forecasting that conditions will become extremely hazardous in southern and southwestern regions as the day progresses, due to more snowfall, winds and rising temperatures. Warnings of extremely hazardous road conditions are in effect for the regions of Uusimaa, Kanta-Häme, Päijät-Häme, Kymenlaakso, South Karjala and South Savo. Hazardous condition warnings extend all the way up to central Lapland. More snow is expected along the south coast on Tuesday afternoon and in eastern areas overnight. Care services for the elderly have come under intense scrutiny by the media in recent days after widespread problems resurfaced at facilities operated by the company Esperi Care. Several municipalities have stopped sending senior citizens to nursing homes run by the company. Reporters are now turning up deficiencies in the quality of services provided by other companies, as well. 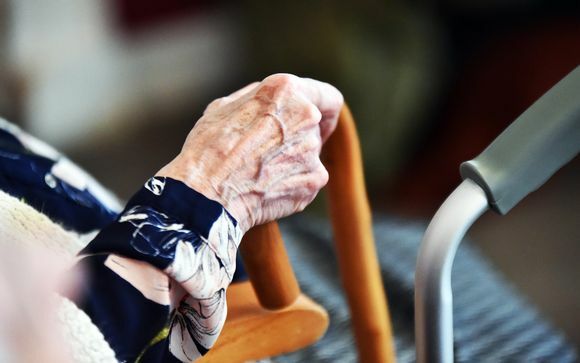 An article in Tuesday's daily Helsingin Sanomat says that the ownership of companies in the 2.6 billion euro elderly care services market has become increasingly concentrated in recent years. The paper points out that elderly care is a growth market, but probably not as much as was once imagined. According to the figures it presents, around 70,000 Finns live in nursing homes and assisted living facilities. Most of them are elderly, but the figure also includes some people with psychological and developmental disabilities. Of the total number of residents, some 50,000 require round-the-clock care. Once upon a time that meant nursing home or hospital care, but most today are in assisted living facilities. Helsingin Sanomat asks if the elderly care business is really as profitable as investors have believed. As part of the answer, it points out that while the total number of elderly is constantly growing, those living in full service round-the-clock care facilities has remained steady over the past few years. Most of the elderly are remaining healthier, for longer, and get by without expensive services. In addition, it is a matter of policy to care for people in their own homes for as long as possible. Further exacerbating the problem is the fact that public authorities charged with overseeing the quality of care provided to the elderly are understaffed and underfinanced. In a syndicated Uutissuomalainen article carried by Kuopio's Savon Sanomat, Director General Markus Henriksson of the National Supervisory Authority for Welfare and Health, Valvira, said that the watchdog has only some 10 officials responsible for overseeing these types of social services. He added that the resources available to Valvira and regional state administrative agencies are significantly smaller that in the other Nordic countries. On the other hand, Henriksson does not believe that the problem of deficiencies in the quality of care for the elderly can be solved solely by increasing supervision by the authorities. Instead, he called for more self-regulation by companies in the sector. The job of the authorities, he stated, is to ensure self-regulation works and to get involved if it doesn't. Turun Sanomat reports on a visit to Finland by newly sworn-in Swedish Prime Minister Stefan Löfven. On Monday Löfven met with President Sauli Niinistö for talks that focused on defense cooperation between Finland and Sweden, as well as defense cooperation on the EU level. The security situation in the Baltic region and cooperation in the Arctic were also on the agenda. Today, Tuesday, Löfven is scheduled to meet with his Finnish counterpart Juha Sipilä. Those talks are expected to touch upon a wide range of issues including bilateral relations, Brexit, climate issues and defense. The Nordic countries are planning closer cooperation to battle climate change. 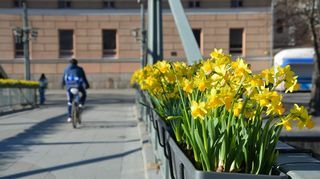 A gathering on the topic of Nordic prime ministers and environmental ministers took place in Helsinki last Friday. Löfven was represented then by his deputy, Isabella Lövin. According to economic and business daily Kauppalehti, Finland is in the odd situation of being unable to produce any euro coins at the moment. It notes that the national Mint of Finland has announced on its website that its contract with the Ministry of Finance to produce coins expired at the end of 2018. An official at the Ministry confirmed to Kauppalehti that this is the first time that the State of Finland has found itself in this kind of situation. Because of a delay in putting out an EU-wide invitation to tender for the contract, Finland is currently unable to have one and two euro coins minted. In recent years, the Mint of Finland has produced several million euro coins annually. The official calmed any concerns, saying that there is a sufficient supply of cash and the bidding process for the minting of new coins will wrap up by the 11th of next month.